California brokerage powerhouse Pacific Union International announced today that it has acquired the East San Francisco Bay luxury brokerage Empire Realty Associates. This is the third acquisition in the last 10 months for Pacific Union, also based in San Francisco, following its merger with the Los Angeles-based John Aaroe Group in December and Beverly Hills firm Partners Trust in August. Together with Fidelity National Financial, Pacific Union also has a controlling interest in L.A.’s Gibson International and in 2015 scooped up San Francisco-based The Mark Company, a sales and marketing firm for urban luxury developments. 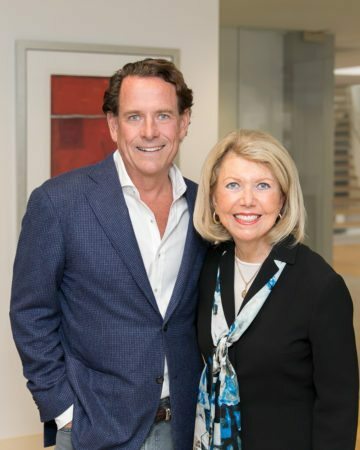 CEO and chair of Empire Realty Judi Keenholtz has a connection with Pacific Union; she was asked in 1989 to establish its first division outside of San Francisco in Contra Costa county. Keenholtz founded Empire in 2002 in Danville, which is in the San Ramon Valley of Contra Costa county. Empire Realty, which has 54 agents, is a Leading Real Estate Companies of the World member and will continue to operate under its current name until 2018 when it will be re-branded as Pacific Union International. The Danville luxury brokerage, whose sales volume last year was $443 million, was ranked by the San Francisco Business Times as one of the top 25 residential real estate companies in the East Bay. The deal with Empire Realty raises Pacific Union’s projected total sales volume in 2017 to in excess of $18 billion from nearly $13 billion in 2016 and brings its office tally to 47 in Northern and Southern California with more than 1,450 real estate professionals.